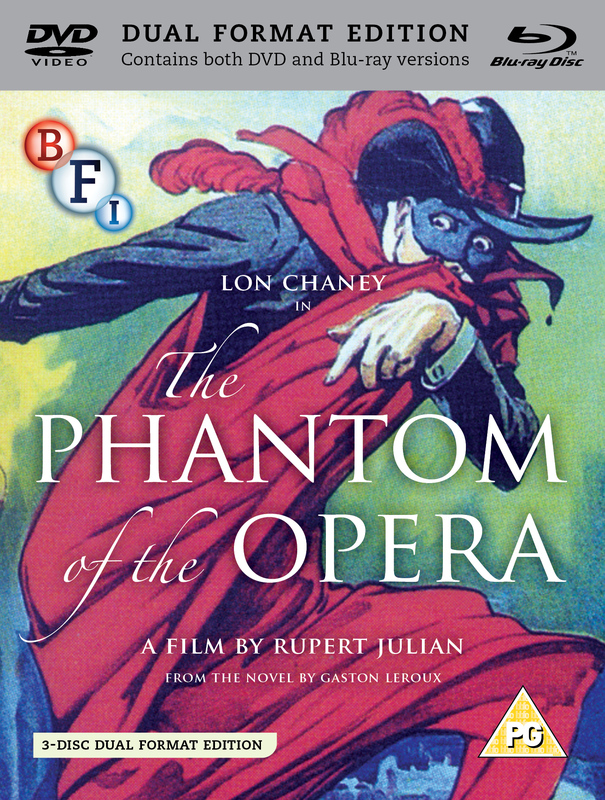 Lon Chaney haunts the Paris Opera in Rupert Julian’s lavish production of the classic Gothic tale. Lon Chaney, ‘the man of a thousand faces’, gives his most famous performance in this first version of the oft-filmed tale. 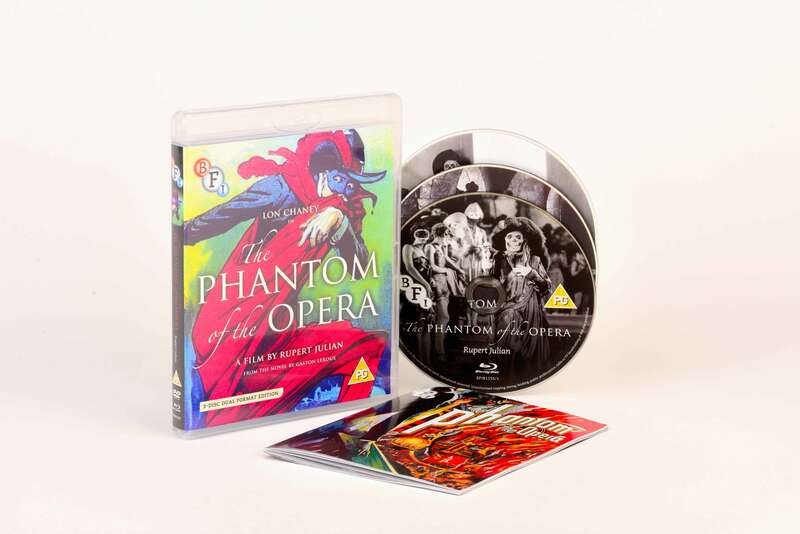 Based on Gaston Leroux's novel, Chaney stars as the Phantom, living in the catacombs beneath the Paris Opera, who falls in love with the voice of a young opera singer. Infatuated, he kidnaps her, dragging her to the depths below where she will sing only for him. 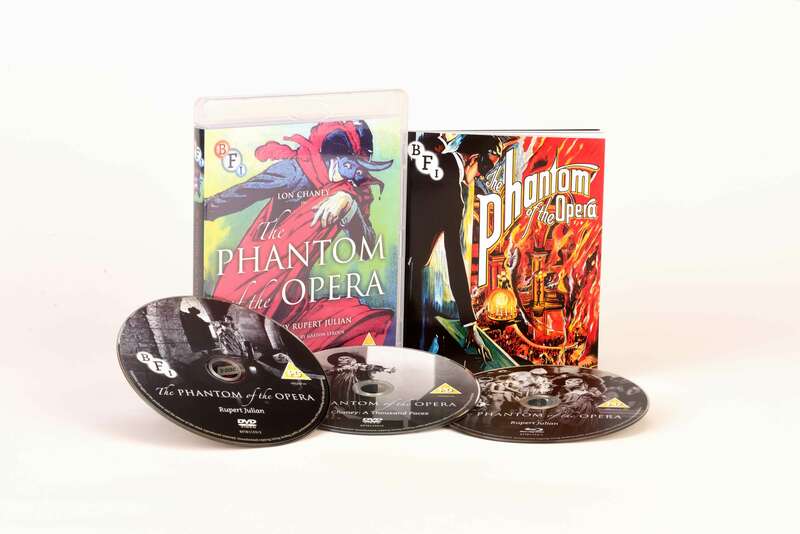 Original prints of the film were fully tinted, with some sequences in Technicolor, and a rooftop scene using a special process that enabled the Phantom's cloak to show red against the blue night sky. 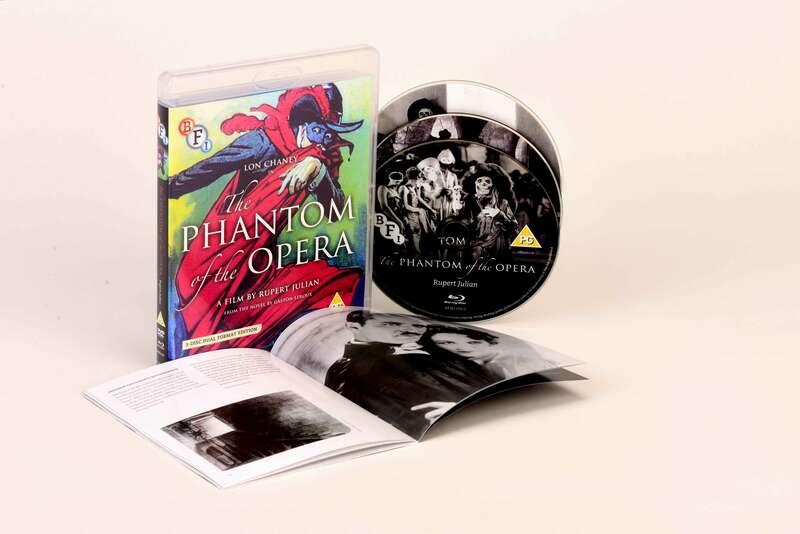 This Photoplay restoration carefully reinstates all these effects, and is accompanied by Carl Davis’ celebrated score, which draws heavily on Gounod’s Faust, the opera performed in the film. Reel 5 from lost 1929 sound re-issue (12 mins): the only surviving element, newly discovered in the Library of Congress archives. Lon Chaney: A Thousand Faces (2000, Kevin Brownlow, 86 mins, DVD only): Kevin Brownlow's definitive documentary on the legendary actor.